Los Angeles Public Library has teamed up with Man One to present a series of workshops throughout the city as part of their LA MADE programming for 2018. These workshops led by Man One, will give a hands-on approach to understanding this unique art form. 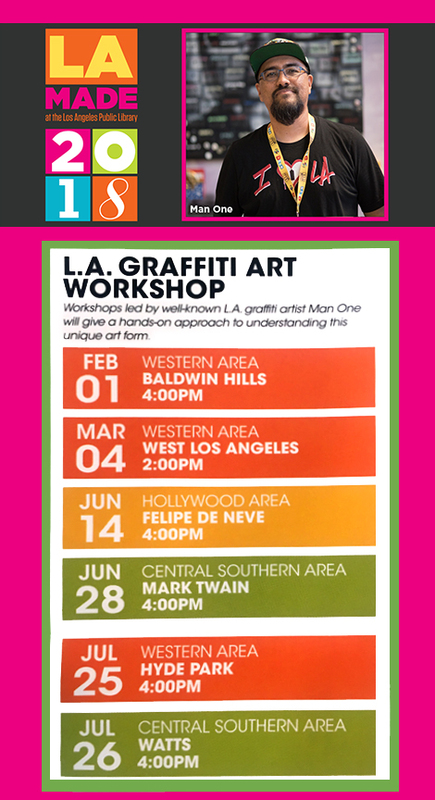 The program will highlight the artist's work, a brief history, and a hands-on demonstration of chosen graffiti elements or techniques. See the image below for other workshop dates and locations.